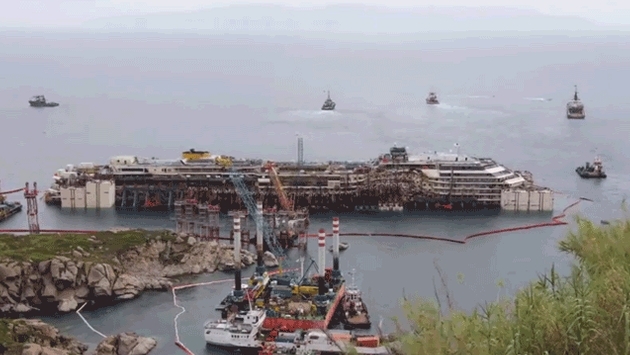 Originally set for July 22, the towing of the Costa Concordia wreck is now scheduled to begin on July 23. The salvage team posted the news via Twitter. The salvage team said the hull was raised about 36 feet and needs another nine feet or so before it will be ready to depart the Italian island of Giglio. Here's a time-lapse video of the rising ship. 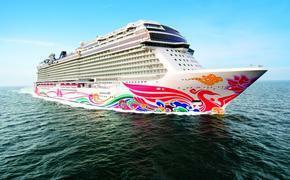 The vessel is scheduled to be towed to Genoa, where it will be scrapped and recycled. It will be accompanied by a convoy of 14 vessels. The Costa Concordia capsized on Jan. 13, 2012, after tearing a gash in the hull after hitting some underwater rocks. Thirty-two people died.